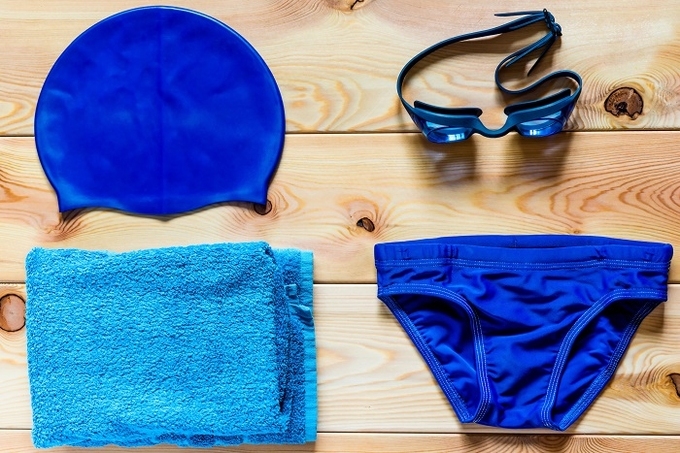 Everybody’s favourite swimwear brand, Speedo has jumped into bed with Aqualfil to launch the world’s first take-back programme for fabric for the swimwear market. As a result, the new Speedo PowerFLEX Eco swimwear is made from Aquafil’s 100% upcycled ECONYL nylon, with the take-back programme turning leftover fabric scraps back into raw ECONYL – then new ‘Speedos’. The scrap fabric would have ended up in landfill. Now, it is being being endlessly recycled, creating a closed-loop manufacturing partnership between the two companies. “We are challenging apparel manufacturers to be more sustainable and restructure their supply chain to divert waste from landfill,” said Giulio Bonazzi, Aquafil’s chairman and CEO. “Our partnership with Speedo USA shows their commitment to the environment with the take-back program, but also their ingenuity in creating products from materials that can be recycled an infinite number of times. In the swimwear industry, post-production fabric waste has not been suitable for traditional recycling due to its complex technical composition. However, Aquafil says it has developed a technology that can turn swimwear fabric and other blended waste materials into new raw nylon. The ECONYL Regeneration System takes manufacturing byproduct waste and nylon materials that have reached the end of their product life – such as abandoned fishing nets and old carpets – and re-engineers them into high-quality ECONYL Nylon 6 for the production of new carpets, sportswear and swimwear. Now, the regeneration process is being used to separate usable nylon from Speedo’s blended post-production fabric scraps. It is then upcycled into raw nylon fiber that can be made into new PowerFLEX Eco swimwear. In fact, the new products are made up of 78% ECONYL nylon and 22% Extra Life LYCRA – resulting in fabric that “retains its shape up to ten times longer than traditional swimwear fabrics, is resistant to chlorine, sagging and bagging and is offered in styles designed for both performance and fitness”. **This story first appeared on 2degrees Network here. This entry was posted in Brands, Recycling and tagged 2degrees, Aquafil, Econyl, Speedo, Sustainable Products, Swimwear.